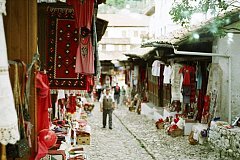 Tourists in Albania are very curious travelers eager to visit interesting sights and gain new knowledge. No wonder they ask their guides a lot: • What Albanian cities are best to visit? • What hotel or apartment is to choose? • What souvenirs to bring from Albania and where to buy them? • What historical places should be visited for a perfect first time? • How can you easily rent a car? How many times have you been to Albania? 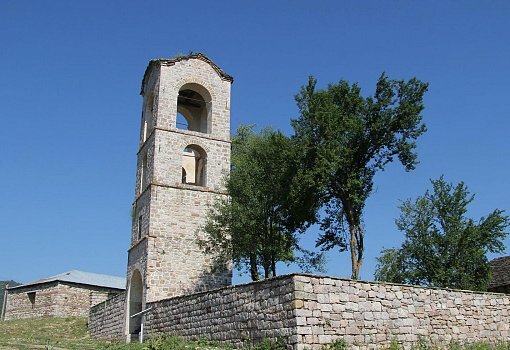 The history of Albania is quite interesting, because it was already inhabited in the period of the Upper Paleolithic, one of the evidences of this, is a unique archaeological monument – the Konispol caves. In the ancient times, Albania was inhabited by Illyrian tribes, who, most likely, are the ancestors of modern Albanians. At the beginning of the XIII century, the Crusaders created the kingdom of Albania, whose capital was Durres. In 1368 the principality of Albania was appeared, headed by the first Albanian prince Karl Topia. From the end of the XIV century, Albania has been constantly attacked by the Ottoman Empire. A special role in the opposition of the Ottomans was played by Skanderbeg, who is still considered to be the national hero of Albania. By the end of the 16th century until the beginning of the 20th century, Albania was completely under the rule of the Ottoman Empire. In 1912, the independence of Albania was proclaimed in the city of Vlora, and in 1946 the People’s Republic of Albania appeared, headed by Enver Hoxha. After the death of Hoxha political changes had begun in Albania and in 1992 the final fall of the communist regime had occurred. The Albanian coasts are surrounded by the Adriatic and the Ionian seas. The total length of the sea coast is 362 kilometers. Among the most beautiful beaches of Albania: the beaches of Velipoja and Shengjin, the beaches of the Albanian Riviera, the beaches of Durres and the beach of Ksamil should be underlined. It is worth noting that the beaches of the Adriatic Sea are sandy, so tourists and children prefer to rest here. The coast of the Ionian Sea is mostly rocky, the beaches are pebbly, therefore such places as the Cape Rodon and the Peninsula Karaburun attract attention of divers from all over the world for its unique fauna and flora of the sea and of the land. Today there are only few resort-cities in Albania, where are created all conditions for a comfortable stay. 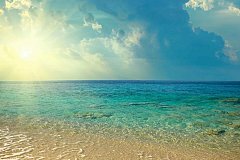 The holiday season in wonderful Albania begins in May and by the middle of summer the temperature of the sea reaches 25-26° Celsius. High season in Albania starts in June and finishes in the middle of September: at this time a huge number of tourists from around the world come, so it is better to book a hotel in advance if you are planning a trip to Albania in this period of time. Majestic mountain ranges of Albania deserve special attention. They stretch from the north-west to the south-east of the country: the mountain Dajti is located near Tirana, its height is 1613 meters. From its slopes and peaks one can see a perfect panoramic view of the Albanian capital. To come up tourists can use the funicular or a narrow-paved road. The hill Sari Saltik is located in Kruja. From its top one may see a beautiful architecture, green landscapes or the reconstructed castle and the citadel of Kruja. 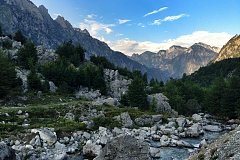 The Northern Albanian Alps definitely worth seeing. It is one of the most remote mountain ranges in the Balkans. Since ancient times they were called «cursed mountains». The top of the Northern Albanian Alps - Maja Jezercë – is a mountain with an altitude of 2,694 meters; in the east the Mount Korabi the highest point of Albania is situated (its height is 2764 meters); closer to the northern part of the country stretched the massif of Pindus, which in the days of the ancient Greeks was considered a sacred place, the abode of the God Apollo and his muses. 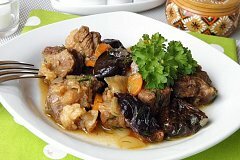 Albanian cuisine is a unique combination of centuries-old traditions of Greeks, Turks, Italians, Slavs. Therefore, the dishes of Albanian cooking are appreciated by all sophisticated gourmets. The basis of the traditional Albanian cuisine is: seafood, meat, vegetables and cheeses. Accordingly, seafood prevails on the coast. Tourists can enjoy fresh seafood in numerous cafes and restaurants which stretch along the coast. Grilled shrimps, prepared in various ways, octopuses and squids, oysters and mussels, dorado and sea bass - all this can be found at the Albanian coast. To those travelling in the mountains Albanian chefs will gladly offer stewed beef or mutton dishes, a variety of cheeses, fresh vegetables and fruits, honey and delicious roast river trout. 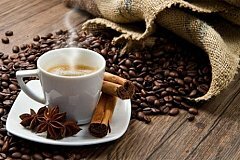 Speaking about Albanian cuisine, we also should mention coffee, Albanians prefer this drink almost around the clock and really know how to make it . Coffee lovers can get a real pleasure drinking Albanian espresso, macchiato or cappuccino. With coffee you can try desserts, which are unique in Albania like the Gliko that is made from all variety of fruits. Korcha is a picturesque city with a unique landscape and significant cultural heritage. This is a place where the joy never ends and where modern and ancient architecture are perfectly mixed. 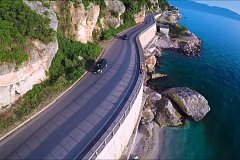 It’s easy to travel around Albania! 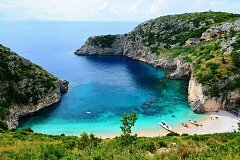 Albania is one of less known European countries for travelers, lying in the western part of the Balkan peninsula it is washed by 2 seas: the Adriatic sea and the Ionian sea. Having being isolated for decades, nowadays Albania is ready to open its soul for its visitors. 70 per cent of the country’s land is covered with magnificent mountains and forests – that’s a great choice for extremely active tourists. Alpinism, rafting, cycling, paragliding and even parachuting activities are offered on spot. 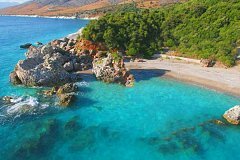 In summer Albania welcomes tourists with its white sandy and pebble beaches and magnificent azure sea impressing tourists with the pristine beauty of its nature. Moreover, subtropical Mediterranean climate with a hot summer contributes to a great holiday time for those who travel to Albania. The coastal Albania is represented by a number of resorts of the Adriatic and the Ionian seas. The Adriatic coast is rich in sandy forelands, cozy lagoons, gulfs and shallow sea. This area is suitable for a family vacation. The most popular resorts are Lalzit Bay, Durres, Vlore, Shengjin. As for the Ionian sea coast, it is known by its rocky bays with a narrow coastline with the steep mountain slopes hanging over. The picturesque sea bottom, steep slopes and secluded beaches attract those who prefer diving and alpinism activities. The highly popular resorts of the Ionian coast are Dhermi, Saranda, Ksamil, Himara. However, pristine beaches and blue seas are not the only heritage of Albania. The country is rich in cultural and historical sights due to its many century history. There are a number of ancient and medieval fortresses in Albanian cities. Some towns’ history is dated back to over a century, such as Durres and Shkoder, which have left a great cultural heritage and traditions to present day life. Shkoder is one of the oldest cities in Europe which memories date back to the V century BC as a town lying on an ancient trade way. Rozafa castle is located near the city. Durres is one of the oldest cities of Albania, which nowadays hosts the main country’s sea port, Roman time ruins, a great amphitheater and the Venetian Fortress. 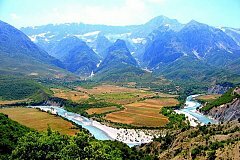 The beautiful nature of Albania is represented by the reserved areas and national parks lying not only in the mountains, but in the coastal areas as well. 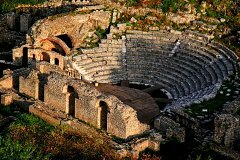 Albania is a land of several UNESCO sights – an archaeological park of Butrint and the historical centers of Berat and Gjirokaster. If you have not yet visited Albania you are likely to ask why to do it. And the answer is – for impressive emotions and memories, for the beauty of the surrounding nature behind the clean sea and beautiful beaches. And we hope that our web site www.albaniatravel.today will be a reliable guide in your journey! Traveling to Albania is easy and safe! It is very easy to get to the “country of eagles”: lots of European airlines and low-cost airlines connect Europe with Tirana, which reduces the overall cost of travel. Entry regulations to visit Albania are hardly different from others. In summer for most nationals only a passport is required to enter the country. Still we recommend every tourist to consult the Albanian embassy in your country to check the visa regulations for your particular citizenship. The local currency is Albanian lek which is equivalent to 100 qindarka. In large stores, shopping malls, brand-chained hotels, etc. only leks are accepted for payment. To exchange your currency to Albanian leks you can use numerous exchange offices located in every city or town. In small souvenir shops, family hotels and cafes you can pay in dollars or euros. Albania is considered one of the safest European countries for tourists. Locals are distinguished by incredible cordiality and friendliness and, even without knowing your language, they will always try to help you. Many tourists get surprised in this amazing Balkan country where you can even leave things on the beach unattended, theft is almost impossible. Travelling to Albania is interesting and curious! 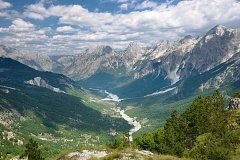 Albania seems to be of high interest even for the sophisticated traveler as regards to its significant difference from other Balkan countries, such as cultural, linguistic and modern lifestyle. In addition to beach holidays, your stay in Albania can be very informative. 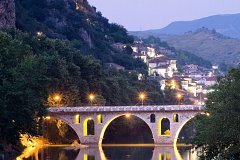 The Albaniatravel website in its sections provides potential tourists with detailed information about interesting places, sights and entertainment activities in various destinations of the “country of eagles”. Holidays in Albania can be divided into the following zones as regards to geographical, cultural and recreational features. The central, mountainous part of the country, with the exception of Tirana, is a rural one keeping the old way of life. Recreation opportunities for this region are represented by ethnography and hiking in rough terrain. Architectural eclecticism flourishes in Tirana: typically socialist sleeping areas, modern and art deco styles and modern architecture prevail. 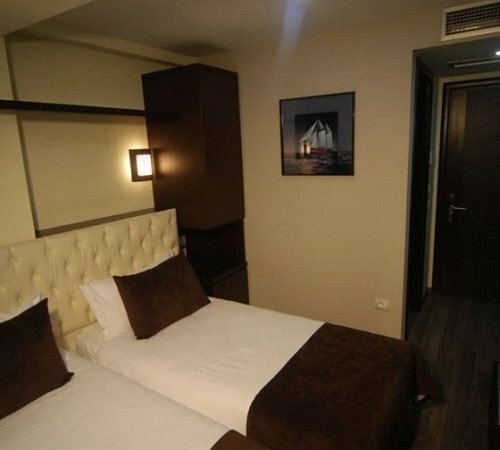 It is a very distinctive city with different service options: there are three-star democratic hotels, and there are famous brand-chained hotels like Hillton. In Berat you will enjoy walking along the crooked stone streets of the Ottoman era and visiting the town castle on the picturesque hill. 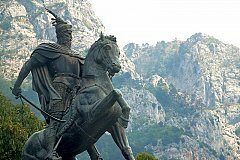 In Kruje you will definitely be impressed by the magnificent mountain scenery, here you can visit the historical museum of the Albanian national hero Skanderbeg. There are numerous resorts by sea along the Albanian coastline. First of all, it is Durres with its magnificent sandy beaches and the famous ancient amphitheater as a must-visit sight. Secondly, it’s Vlora, aka “Albanian Nice”, with a picturesque beach area washed by the warm Adriatic and cool Ionic sea waters. Saranda is the southernmost Albanian resort popular for good and expensive hotels. Summer holiday season in Albania officially begins in June, but you can surely come to swim a month earlier. Nightlife mostly gets its popularity in the summer, there are many chill out zones, nightclubs and restaurants in summer resorts. 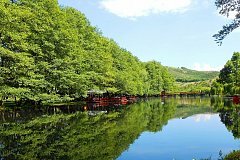 The eastern part of the country attracts curative water holiday makers - Lake Ohrid and its surroundings are famous for their balneological resorts and the almost untouched nature of mountain forests. The north-western resorts of Velipoje and Shengjin are rapidly developing, while staying in these beach areas you can visit the city of Shkoder located on the shores of the Shkoder lake. 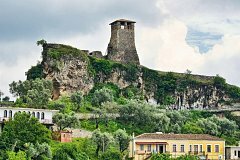 Here your holiday in Albania is perceived the other way: an industrial and academic city and a large economic center of Shkoder is located next to the picturesque medieval Rozafa Castle. To sum it up, it’s worth while saying that Albania is definitely a wonderful holiday destination! We are sure that you will love your trip to the “country of eagles”, and our website Albaniatravel will do our best, so that your holiday in Albania will leave the most pleasant and joyful impression.